Featuring clean lines and shapes while scraping away excess design elements, the Planner PowerPoint Template is built for emphasizing content. 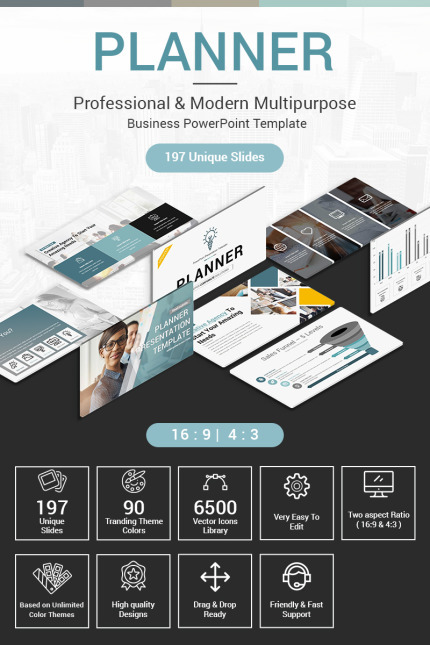 With 197 fully editable slides, the Planner PowerPoint Template’s slides focus on delivering content clearly. Sleek slides feature flat charts, graphs, and infographics that can be easily updated with your own information.